Hey guys, I realized that in my estimate of when I would have the plot outline completed didn't take exams or thanksgiving into account. (Sorry). However, because I did promise you that I would reveal it to you, I shall post what I have worked on so far. Between Last Airbender and Legend of Korra. For the longest time I contemplated something out of cannon (similar to the first iteration of avatar-rpg) and who knows, this could completely fail. But I think I will be able to create a more detailed, more involved world as I won't have to build things up from scratch. The plot will start just after Republic City is made the capital of the United Republic of Nations. 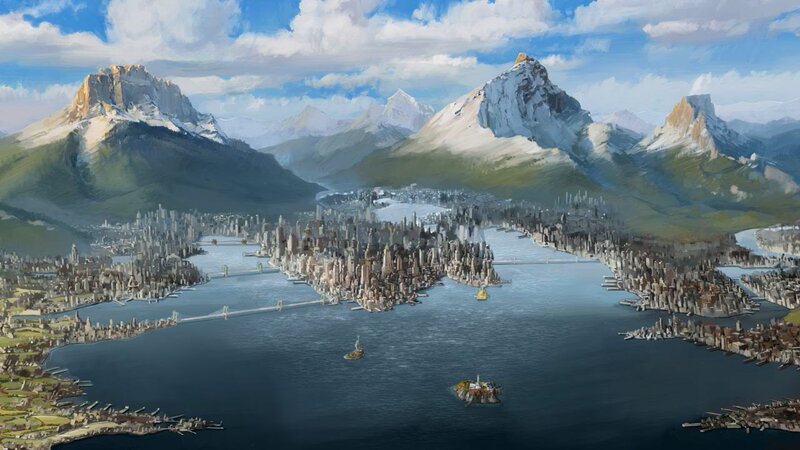 You will be a citizen of the great city, descended from one of the tribes/nations/kingdoms of the world. Whether you were born in the colony that Republic City was founded on, or moved there is up to you. For the most part, the plot will center around the United Republic of Nations (specifically Republic City). There will be an option to visit other places, however the majority of the forum categories will be districts of the city. So then what could possibly be the conflict in a nation founded in peace? Well, surprisingly a lot. It may interest you to know that after the 100 year war ended, another war between the earth kingdom and fire nation almost occurred. Simply withdrawing the fire nation from the earth colonies was more complicated than on paper, especially after 100 years of integration between the two peoples. As such, there is a significant amount of tension between the different nations (one of the reasons why pro-bending was created in the first place). Add that into the fact that there are some significant political and physical struggles between five-ish distinct groups. There are the three triads: Triple Threat, Red Monsoons, and Agni Kai; the police/government; and the equalists (who existed, but were under the radar at that point). To answer another question that I'm sure is cropping up in your mind: Won't rp be limited due the existence of Legend of Korra? Frankly no. After the season finale of LoK (which I watched yesterday), I decided that I didn't necessarily like how the world turned out in the end. Therefore, LoK will only be a template for gathering information on the specific groups within the city. Avatar-RPG will NOT be in cannon with LoK, only TLA. That's as much as I can remember off the top of my head (I'm trying to get this out to you guys now). Feel free to ask questions (I know I didn't cover a lot in this post) as I there are very few things left in the site development that will be secret now. Oooookay, so Mattias first off, I like where this is going, I just got a couple concerns. So to clarify you in fact are NOT going to be following The Legend of Korra but only it's point in time in terms of tech and the current state of affairs politically speaking. So in other words Republic city will be around, technology will be at the point of electricity and the Nations will be in peace for the most part but there is a bit of conflict still looming. So I guess if this doesn't follow Korra story, the Avatar after Aang would not be Korra? Since she would be the next Avatar to roam the land. Also, if this take place in between then I'm gonna assume the timeline is about 50 or 60 years after the events of The Land Airbender? From what I remember Korra's story began 70 years after Last Airbender. If the Equalists are around then I'm going assume that you will be using them for a plot in some fashion? Since by that point in time we know they wanted to strike the benders but didn't have the means to do it at the time. So for all of these groups and nations you've laid out, here's what I'm assuming we'll need leader character's for. A Secretary of defense or some leader for the police. Perhaps just a Police chief. 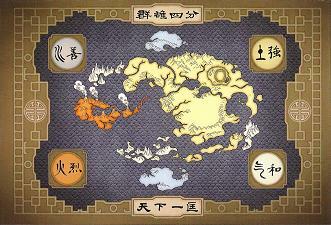 3 leaders for each gang: The Triads, Red Monsoons, and the Agni Kai's. A leader for the Equalists. So I think this is about the jist of it. This all seem about correct to you Mat? If so then I'd like to make some suggestions for who should be the leaders of each of those groups based on the member's that seem to most frequently visit this place. Well the idea is to have all leaders (specifically nation leaders) NPC. You could be high up in the chain of command, but I'd like to avoid anybody who has absolute authority. The second reason is that in order to do that, we would have to either have members be specific characters from the series, which is just a solid no. Or we would have deviate too much from the foundations that TLA and LoK set out. (We aren't scrapping LoK's setting, only the plot outcomes). So for example: I couldn't be the Fire Lord, however I could be on his council. Second, at the current moment the avatar will play little to no role in the site. In theory it would still be Korra at the point where Aang dies. However as he is not dead... he is still the avatar. I'm not worrying too much about a specific span of years, as there is no model that currently exists that I can base that off of. I hope that clarifies Naraca. So you want to have it take place with canon characters, in a canon world, but just with different events that take place within that world. Essentially though the very beginning of this story is canon. What happens after that is up to us. Also, with canon characters, comes the need for them, so I guess some people would be RPing as these characters?